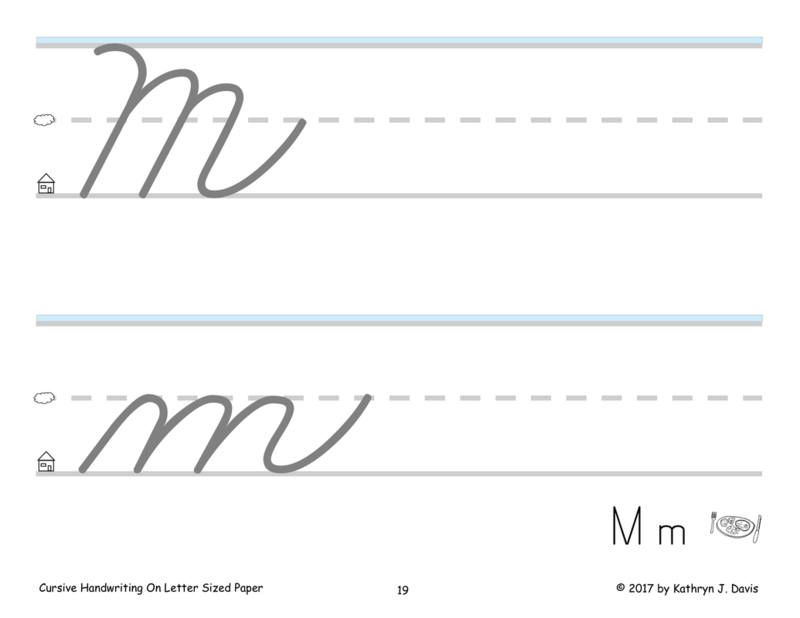 Manuscript and cursive handwriting sheets are available on several different paper sizes. 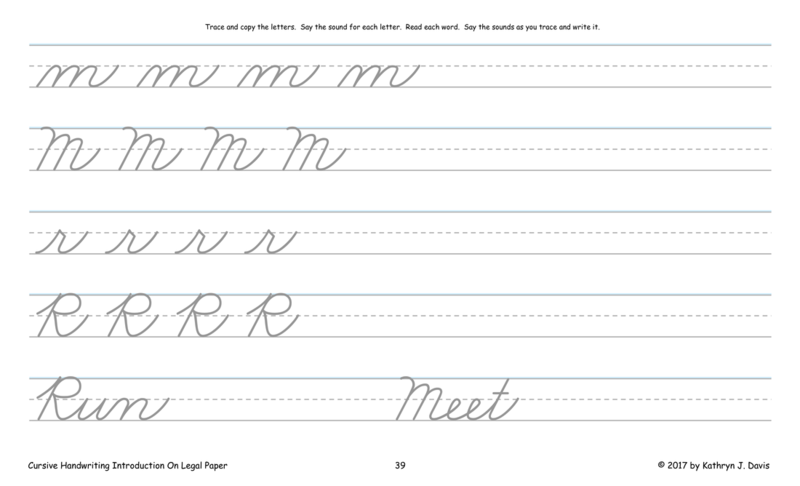 Students trace and copy large letter patterns before writing the letters on regular lined paper. 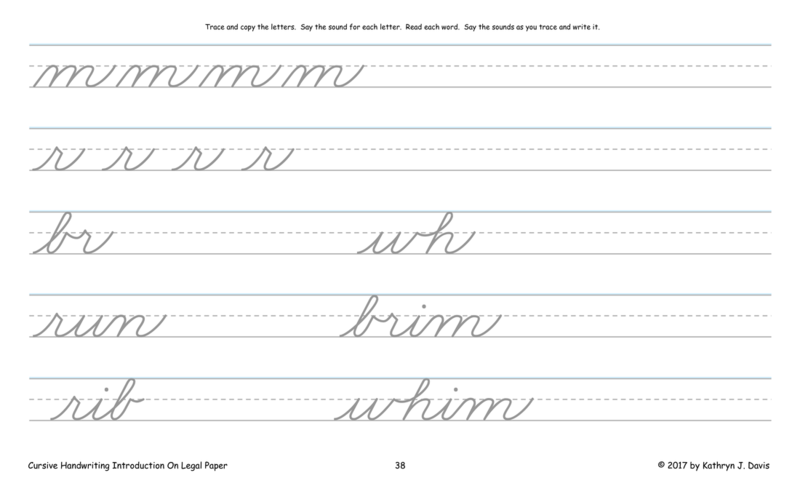 In all of the handwriting sets students say the name and sound each time they trace a capital letter, and they say only the sound each time they trace a lower case letter. Tracing multiple times using a steady rhythm helps students internalize letter formation, letter recognition, and letter sounds. 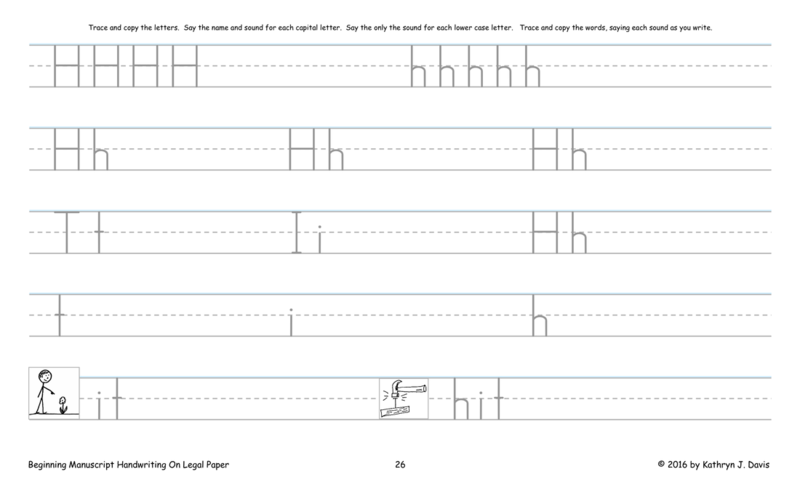 The handwriting pages are not bound, so that students will be able to work on the pages freely and fold them as needed. The letters that are easiest to learn are taught first, and the letters that are more difficult are taught last. The letters are taught in this order: t i h l n w u b m r f x e s j o c d a v g p k y qu z. This is the same order in which they are introduced in the sound story. 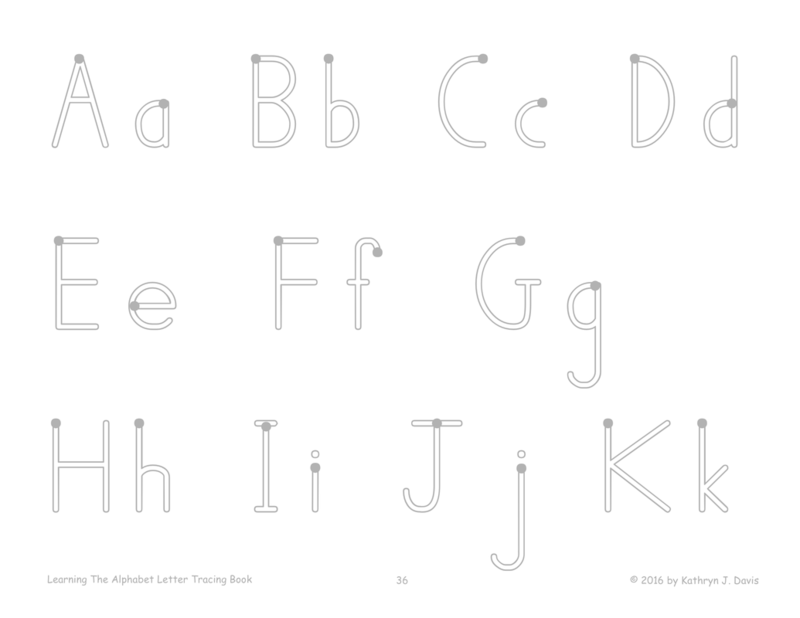 Note: Handwriting pages are already included in the Learning The Alphabet books. However, just the handwriting pages from those books are also available separately. 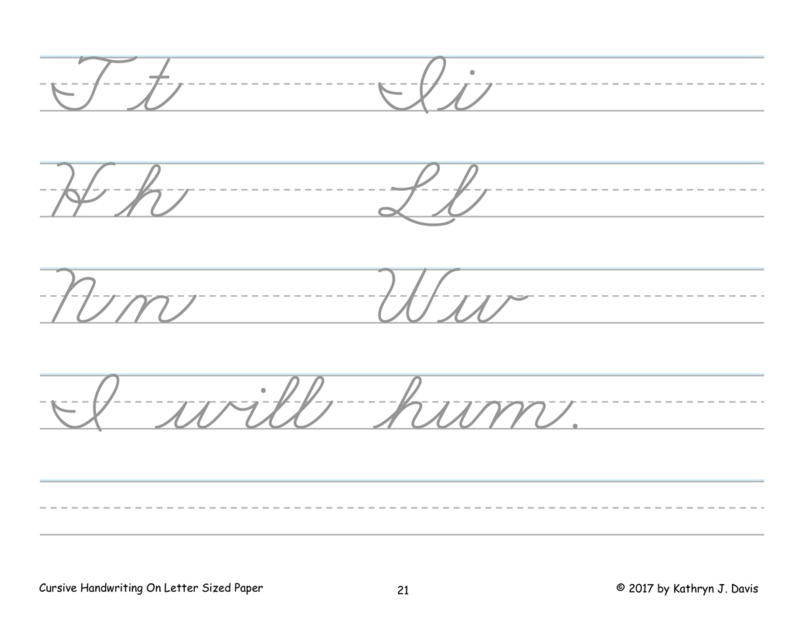 These are the same handwriting pages found in Learning The Alphabet, Books 1 and 2. 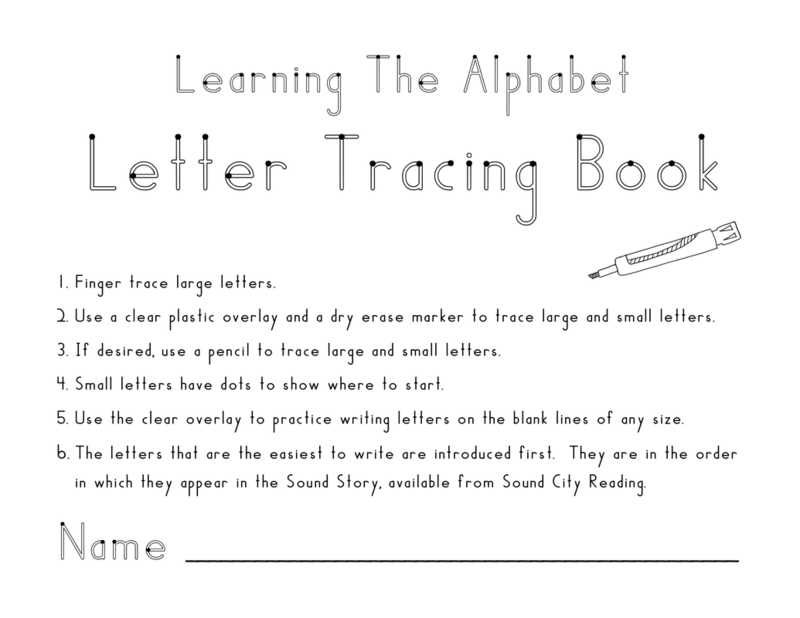 The pages are provided as a separate book for students who already know the letters of the alphabet but need tracing pages to help them improve letter formation. The pages with the large letters have been updated. 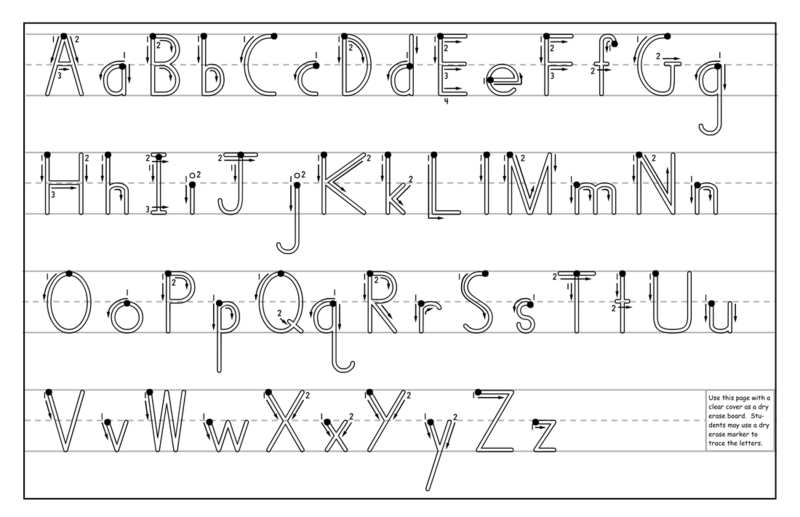 The letter outlines are thinner, allowing students to finger trace the letters and then trace them with a pencil. The letter introduction page with the smaller letters remains the same. Students trace the new capital and lower case letters with a pencil. A second page with smaller letters has been added after each new letter. 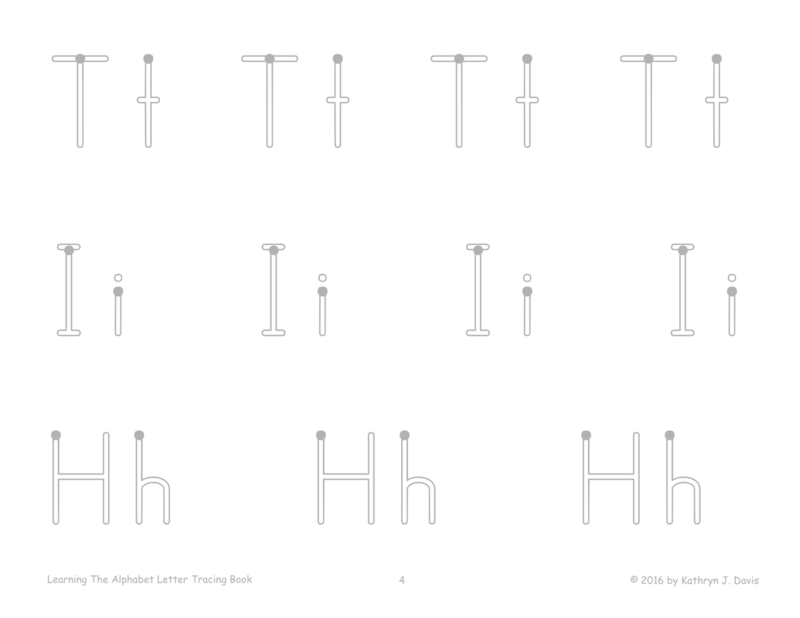 On this page students trace all of the letters that have been taught so far, as a review. This is the easiest handwriting book for the youngest students. 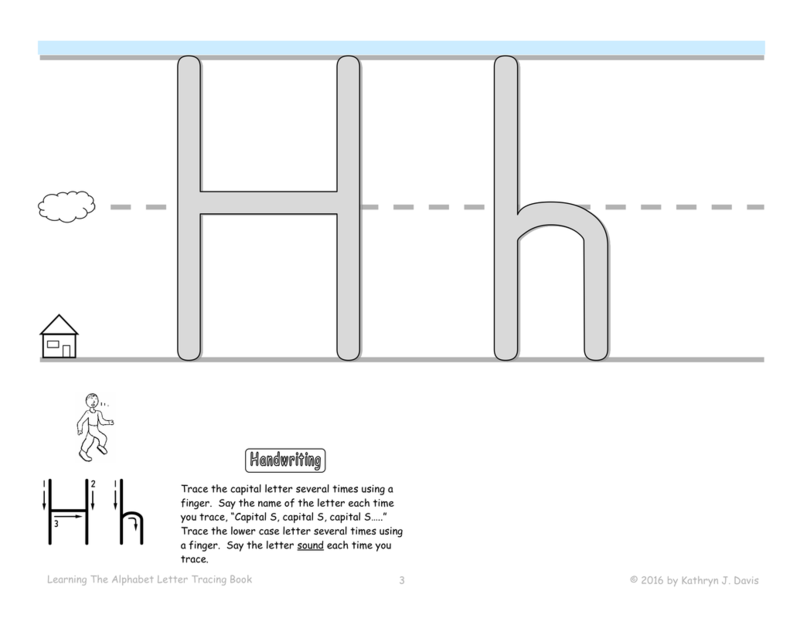 Students finger trace three large capital and lowercase letters and then trace one page of smaller versions of those three letters using a pencil. The smaller pages are not lined. The smaller letters are in outline form with dots showing the starting point. There are a few review pages with smaller letters showing the whole alphabet at the end of the book. 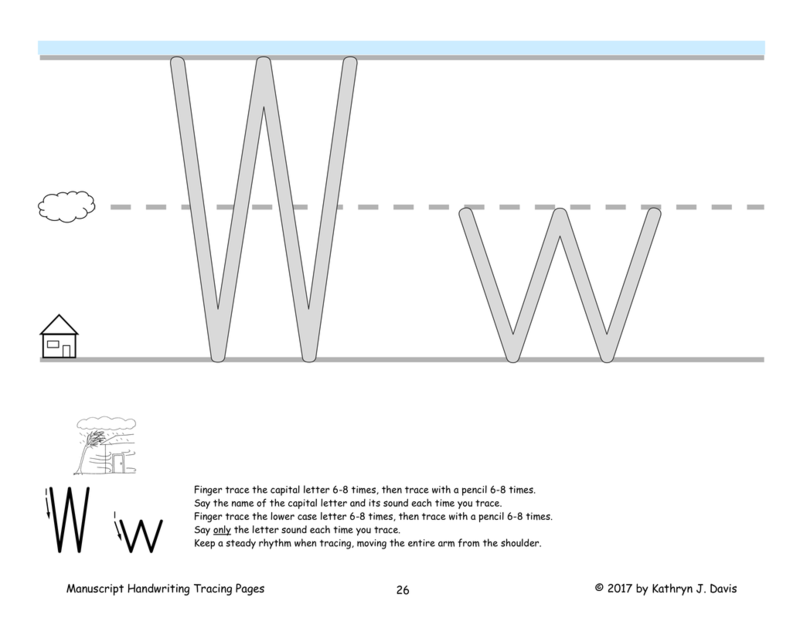 If desired, you can tape a clear cover sheet to a sheet of card stock along the top edge and put this over the tracing sheets. 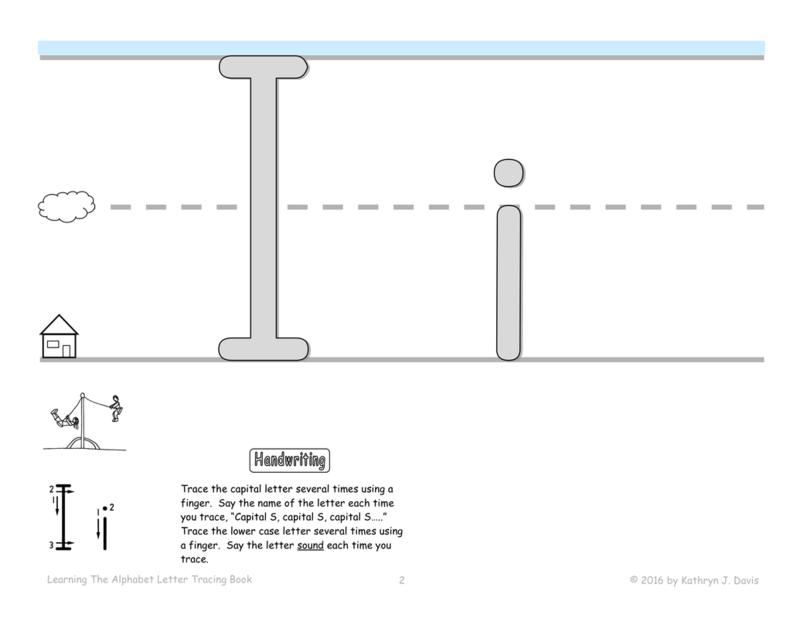 This will allow students to practice writing the letters with dry-erase markers. 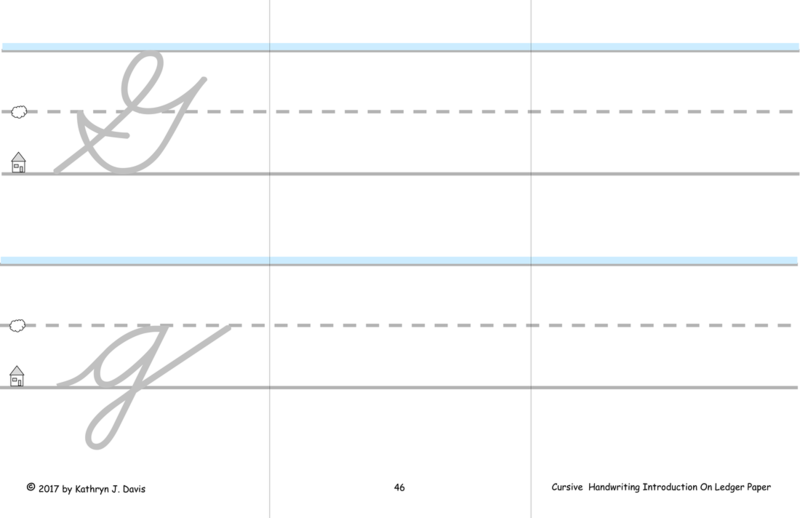 If you have the capability to print on ledger paper these handwriting sheets are wonderful for introducing the letters to young students who are learning to write and to older students who need to improve their handwriting. Students trace and copy very large letters. There is a separate page for each capital and lower case letter. Instructions are included. There are no pages in this set to practice smaller letters. 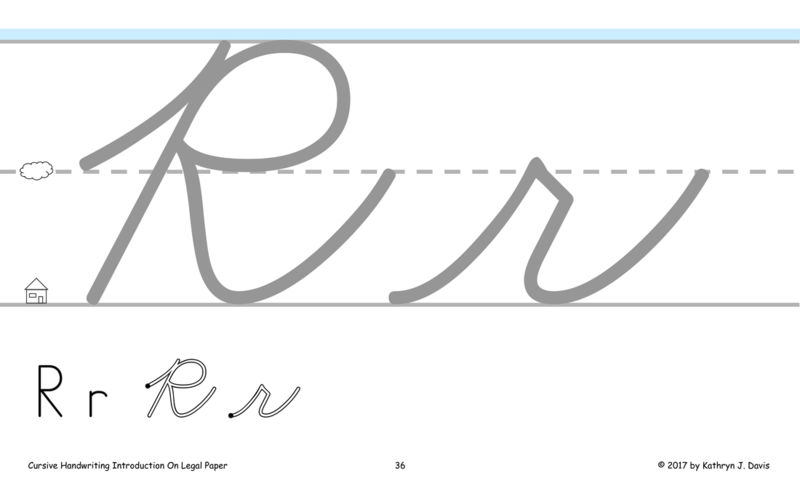 After introducing each large pattern you would dictate the letters to regular lined paper. However the back cover (shown on the right below) show smaller letter outlines on lined paper. 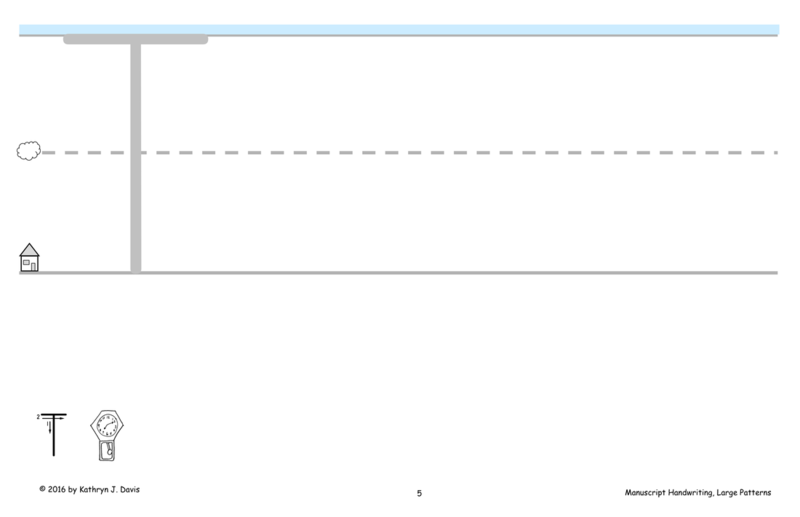 This page could be placed under an 11 by 17 clear cover sheet and used as a dry-erase practice sheet. 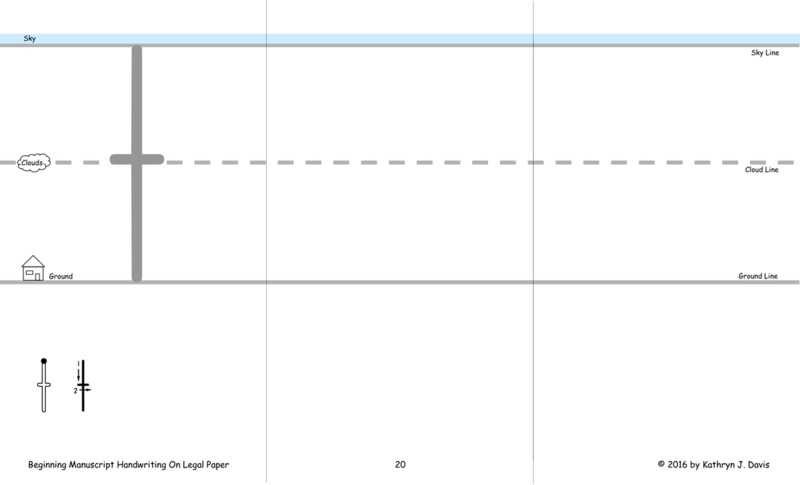 This is a great alternative if you are not able to print on the larger ledger sized paper. 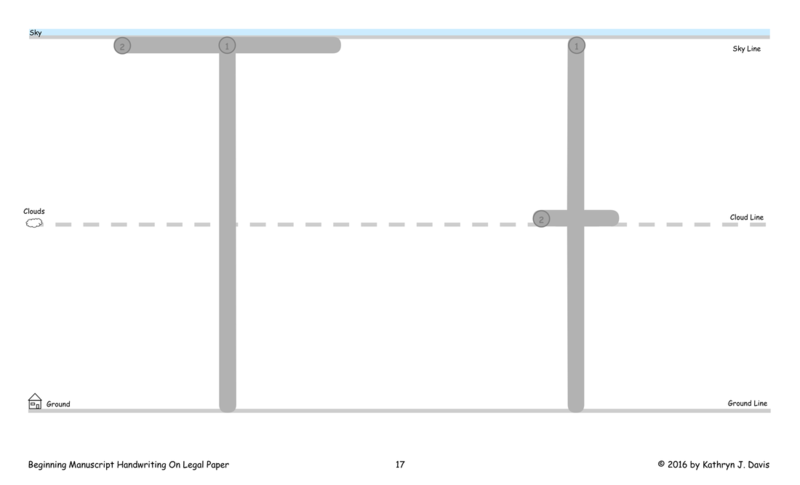 Most printers will print on legal paper. 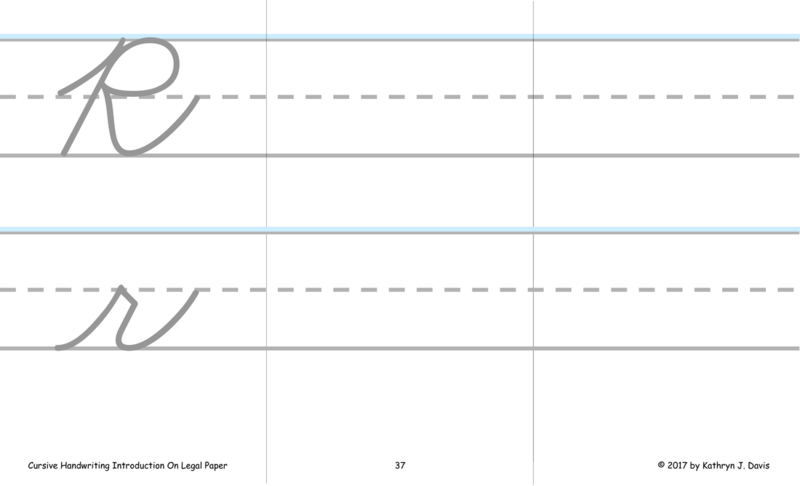 This set of pages follows a four step sequence for each new letter. 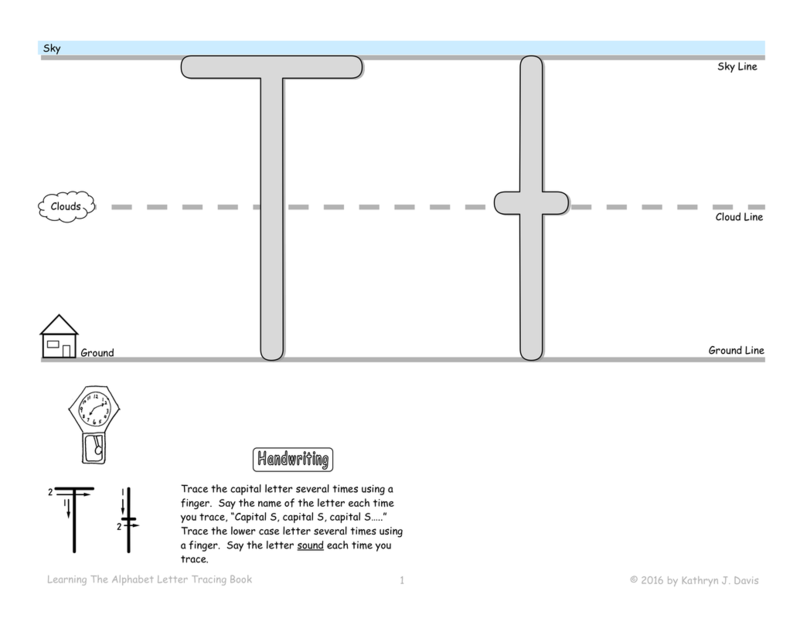 1) Students trace extra large capital and lower case letters. 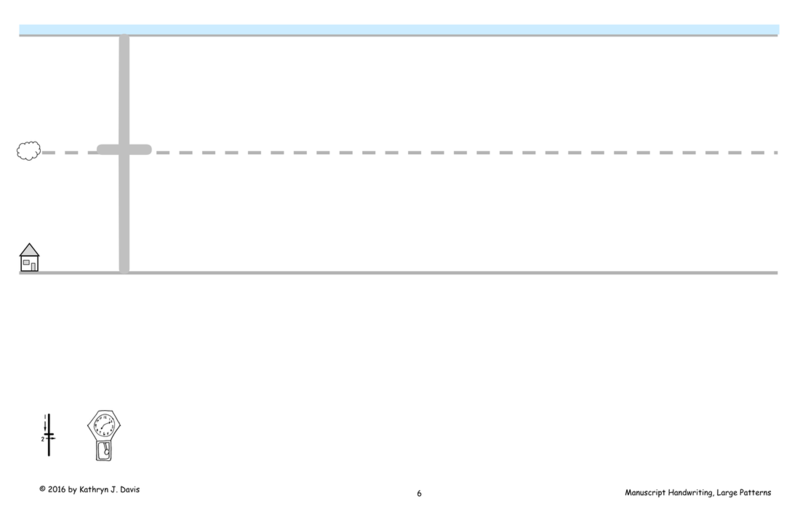 2) Students trace and copy large capital letters. 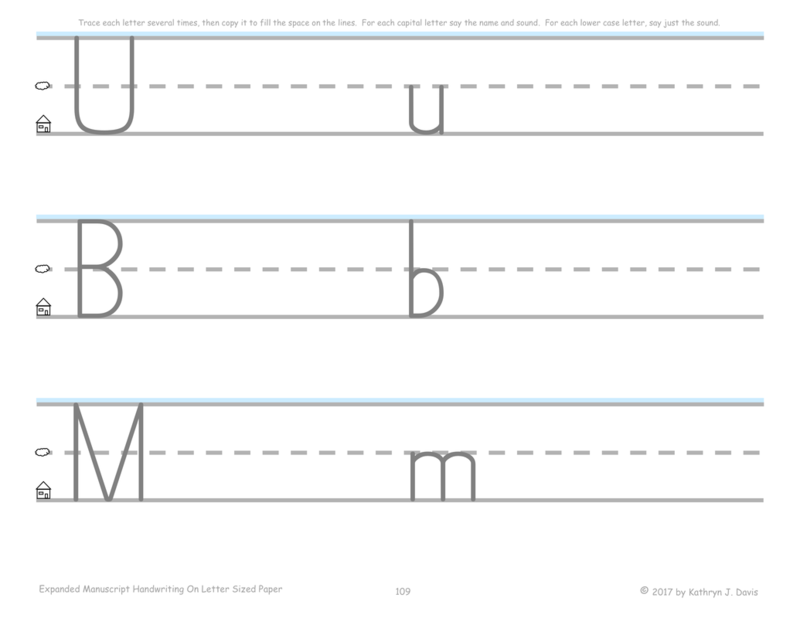 3) Students trace and copy large lower case letters. 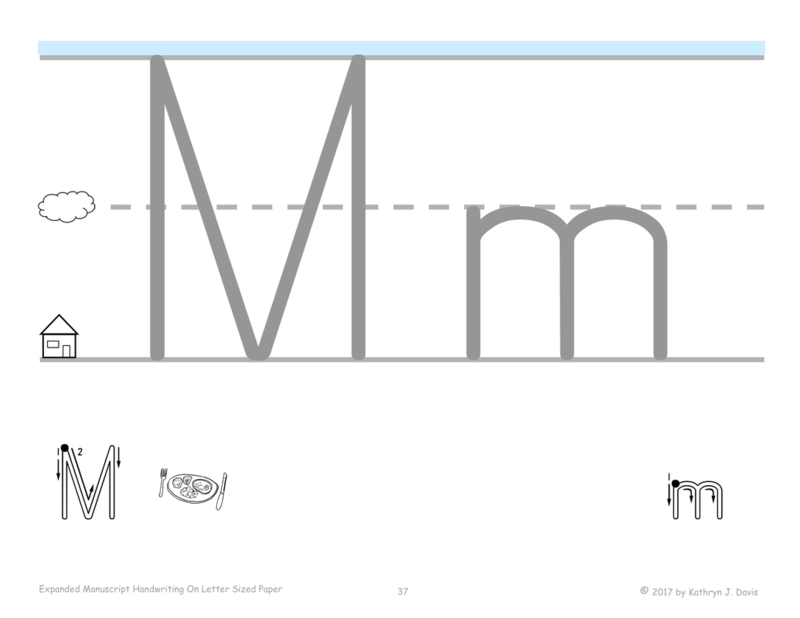 4) Students trace and copy smaller letters, including the new letter, several review letters, and one or two words. 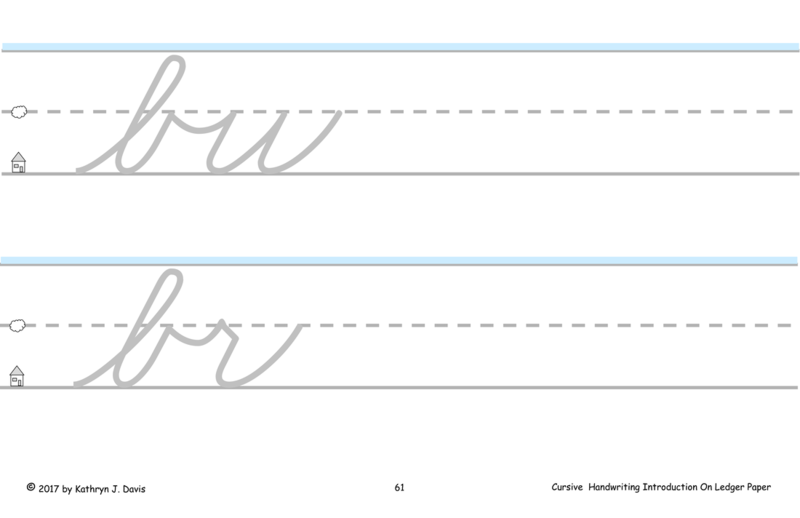 Handwriting warm-up pages with circles and lines to trace are also included. 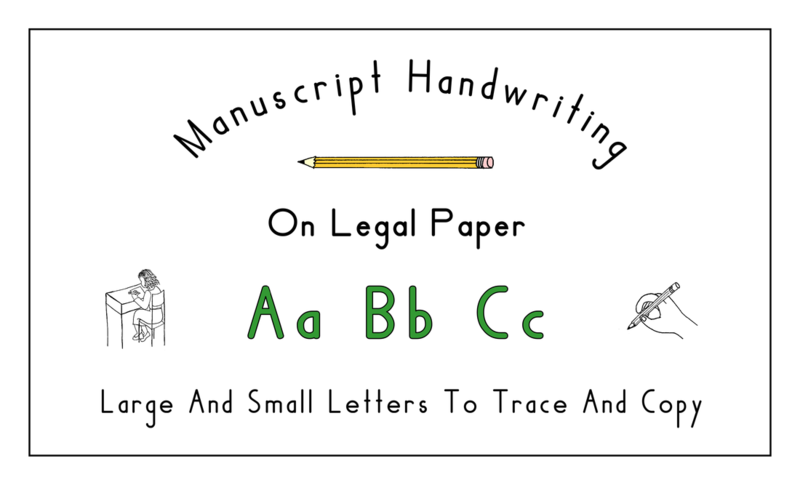 These handwriting pages provide handwriting practice in several different print sizes. 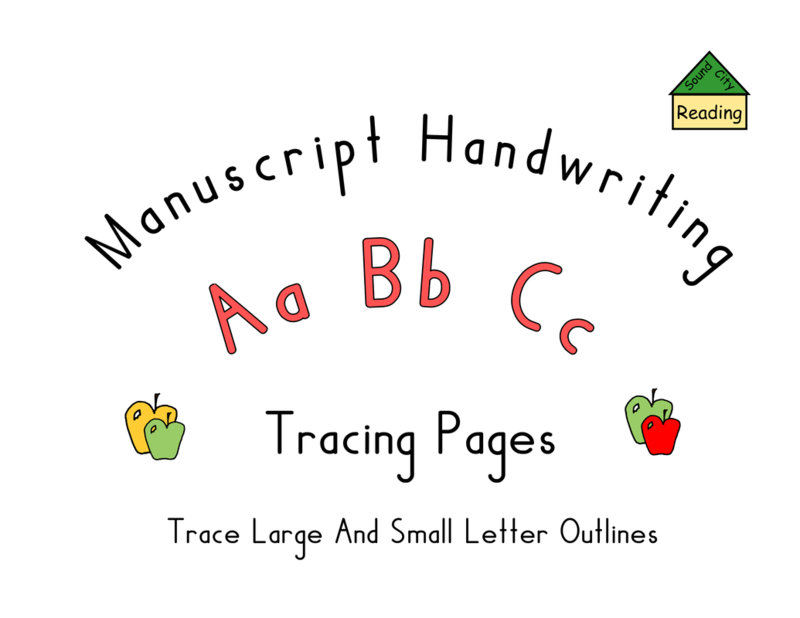 The page have large, medium, and smaller letters to trace and copy. This book has been expanded to include extra large letters that are suitable for initial handwriting instruction. 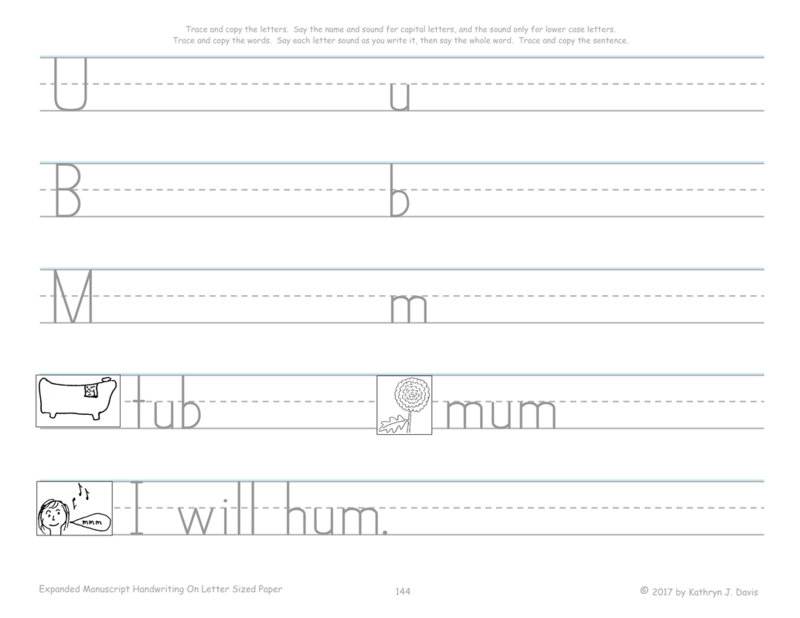 The other pages can be used as a handwriting review at the beginning of the year for students who have already learned how to write manuscript letters. Students trace and copy letters, words, and sentences. 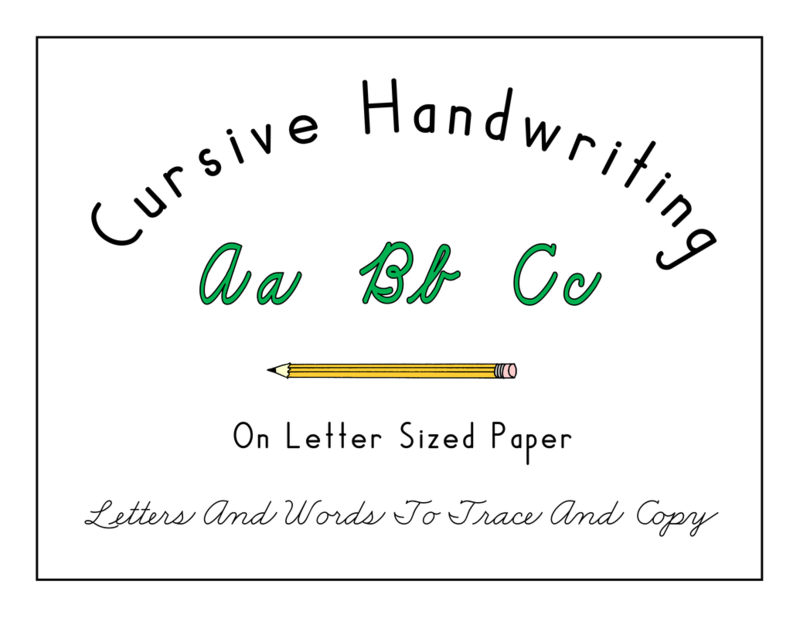 Students trace and copy large and small cursive letters on letter sized paper. They also trace and copy two-letter combinations, words, and sentences. 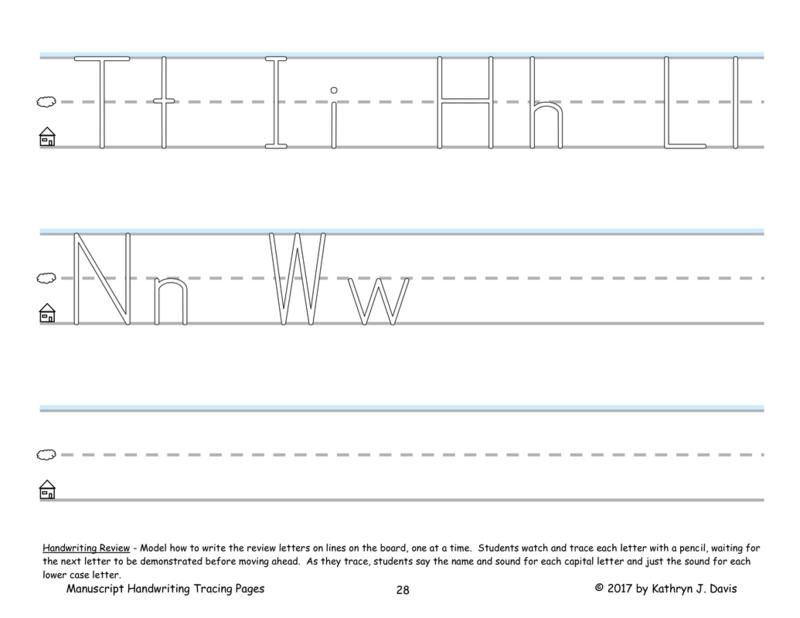 Students trace very large letter patterns, then trace and copy large letter patterns in a three-panel format. 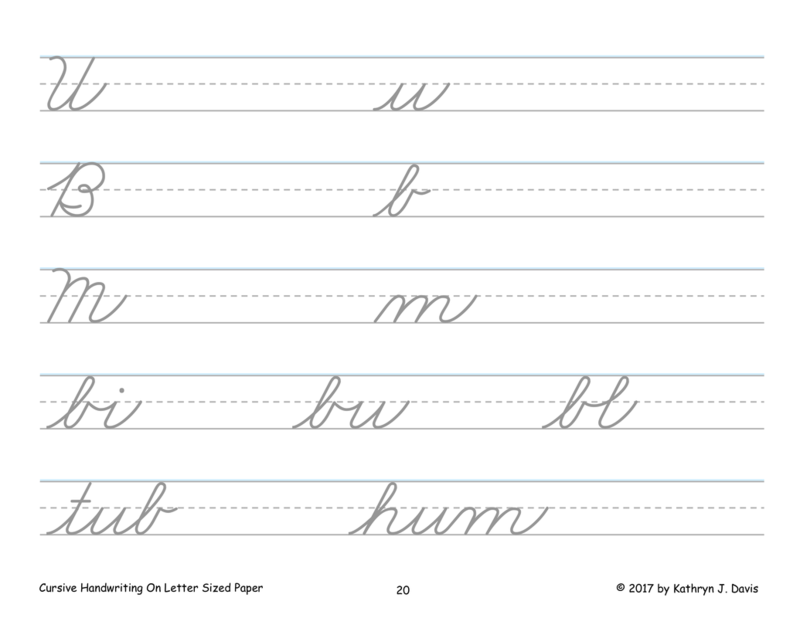 Students also trace and copy small letters, two-letter combinations, and words. Students trace very large letters to learn letter formation. 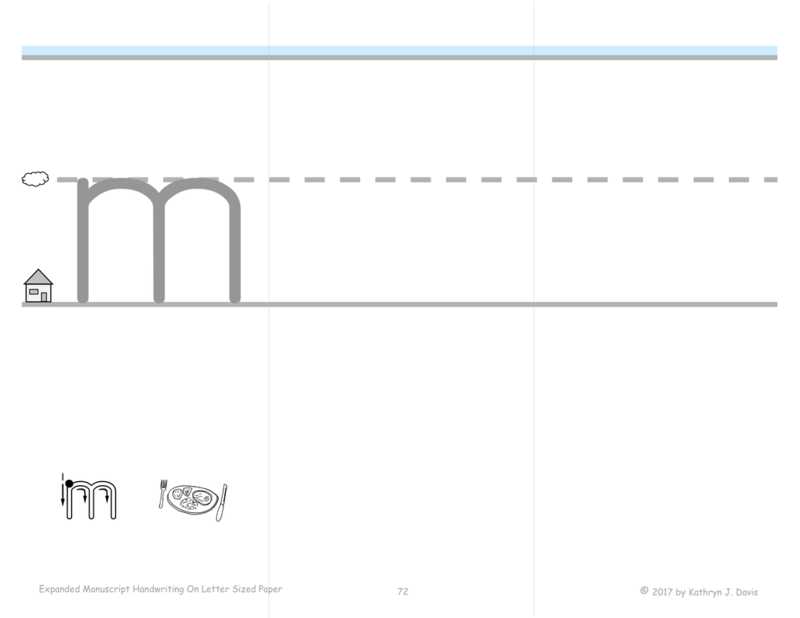 They then trace the letters, copy them, and write them from memory in a three-panel format. 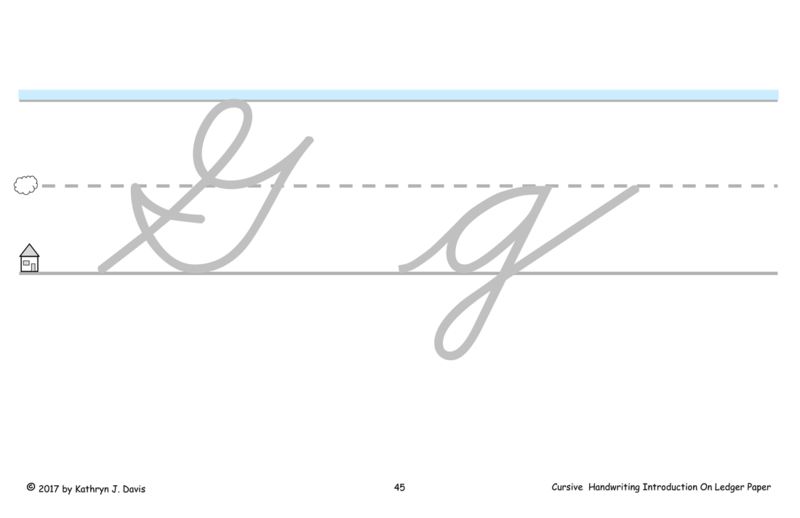 When applicable, students trace large two-letter combinations for letters that "swing out" to connect. This book does not include smaller letters.